Fashwire offers a multitude of advertising opportunities that will showcase your brand and engage readers. 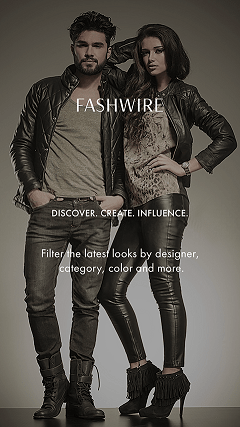 Fashwire can create custom programs and content integration opportunities that will bring your message to life and help you achieve your marketing objectives. If you would like to advertise on our site, please contact advertising at advertising@fashwire.com.